Mother 2, or Earthbound, is finally coming to the West once more courtesy of the Wii U's Virtual Console. 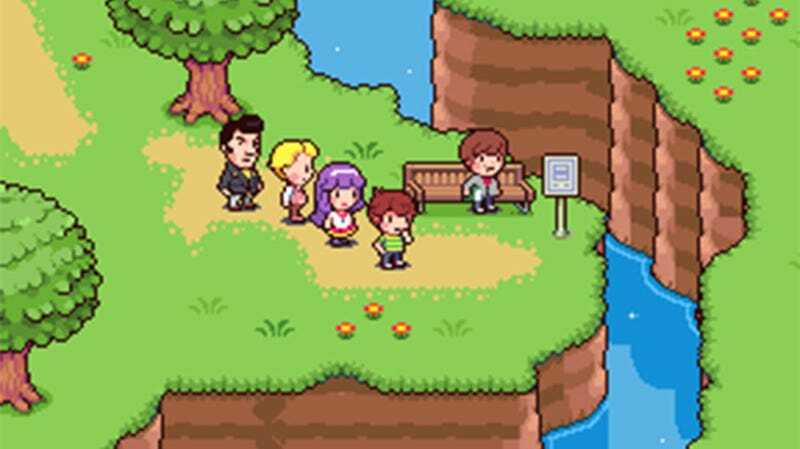 Mother 3, at least for now, is not, meaning the only way you can play that in English is courtesy of some very dedicated fans. Which, incidentally, is also how you're going to be able to play Mother 4. The fan-made project, which we first covered nearly three years ago, is still going strong, and after a new round of hires the team tells me it's full steam ahead. While there's no release date as of yet - and no shutdown notice from Nintendo, either - they did send over these screenshots, which are about as perfect as you could hope for with a game like this. If you want to keep up to date with how they're going, you can get to their project site here.